Which STD Test Is Right For You? They’re NOT all the same. Each type of test has its own pros, cons and cost. On this mobile-friendly page, I’ll explain the differences between each type of STD test – and tell you where you can get tested. Short on time? Then take our 60-second online quiz to find the right STD test for your needs and budget. Touch anything in blue to learn more. The rest of this page explains the major types of STD tests in more detail and tells you where you can get them, online. If you’d like to see our top picks for the best STD tests sold online, then check out our STD Test Buying Guide. I built this website to help others like me learn about their STD test options on their mobile phone, in about 3 minutes. After needing to get STD tested while working out of town (see my story), I became frustrated trying to find local STD test options on my phone. Most Google results were for individual companies, and most of their websites weren’t usable on a phone. I couldn’t really compare my options, as a result. So, I built this mobile website after researching the heck out of the STD testing market. I hope it helps you find the right STD test for your needs and budget. All of the companies, government services and resources mentioned on this site are mobile-friendly and rated highly by customers/users. Buying an Online STD test is the best choice if you need fast and accurate results AND you’d like to remain on the down-low. Or, if you need a confidential second test to confirm. Online STD tests offer the confidentiality and convenience of an at home test kit with the accuracy of a professional laboratory test. Most online tests also offer same-day results, usually for an extra fee. 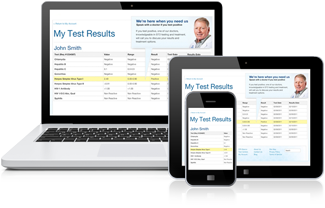 Cost-wise, online tests are in-between a full-blown doctor-supervised test and cheap at home test kits. Typically, an online test will set you back $50 to $300, depending on the disease(s) you’re screening for and how fast you want the result. 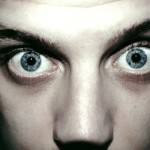 Buy a STD test from a website like STDCheck.com. Online STD test services use the same laboratory processes that are used by local clinics and hospital labs, so they are as accurate as anything on the market. Unlike most walk-in clinics and doctor’s offices, online STD tests are completely confidential. When you arrive at the local test facility, you’ll provide them with a code, not your name. The facility staff will take a urine, blood or swab sample from you. 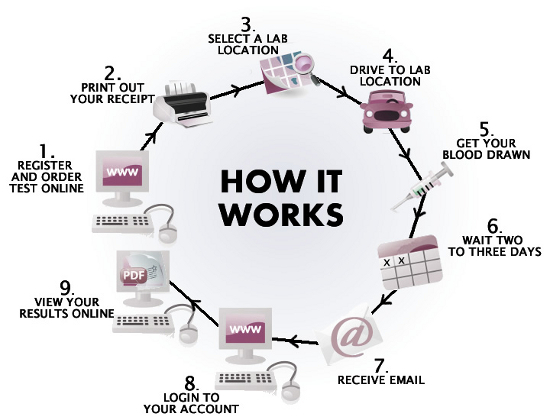 The sampling process takes 5 minutes, much less time than you might spend waiting in a Free STD clinic. A few days later, you’ll view your test results online. Unless you ordered a same-day STD test, in which case you’d go online that evening. If you need same-day results, most online STD test companies can accommodate. There may be an extra charge, however. Online STD tests like the ones offered by STDCheck.com typically cost between $50 and $300. This is more expensive than an at home test, but it’s a lot less than for-profit clinics, hospitals and physician offices charge. Most online test services also offer free telephone or local counseling. This can be helpful if you test positive. But unlike the mandatory counseling that comes with a Free STD clinic visit, it is totally your choice and completely confidential. With over 4,000 locations, STDCheck is one of the most popular online STD test providers in the US. 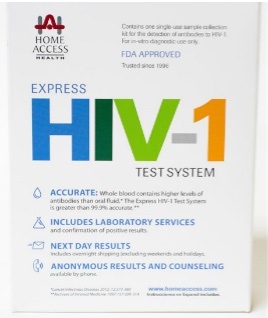 Home STD tests are easy to use, inexpensive and 100% confidential. Purchase an STD test kit online. Prices range from $20 to $250. A few days later, you’ll receive your kit in the mail. Take a sample: collect your own or visit a local lab. If you are using a test strip, you can view your results in minutes. Otherwise, you’ll mail the sample to a lab. A week or so later, review your results online or receive them in the mail. Unfortunately, convenience comes with a price. The primary drawback of using a home STD test kit is that they tend to provide less accurate results than other forms of testing. Because of this, when you test positive for an STD or STI using an at home test, you may need to purchase a second, more expensive, lab test to make sure you didn’t get a false positive. False negatives are also common with home STD tests. A false negative result can lead you to believe you are disease-free, when you actually have the disease. This is why most home STD test kits come with multiple test strips and sample vials. You’ll need to test multiple times to be sure you are free from infection. TIP: Buy two test kits from different vendors. If you test negative on 2 different tests, then you’re much more likely to be disease-free, and you’ve still saved money vs. paying a clinic. Home STD tests are cheaper than other options, but only when you test negative. They can be more expensive if you test positive. This is because you may have to take a more expensive secondary STD test to confirm the positive result. If so, then you would have paid less using an online STD service or a local clinic to begin with. MyLabBox.com: the best at-home STD test kits sold in the US – with free counseling. Free STD test clinics are available in most major American and European cities. Although often stigmatized, the truth is that free STD clinics are just as reliable and accurate as other testing options. If you don’t have the money to spend on a lab test, you don’t mind sharing your name and you don’t mind attending mandatory counseling, then it’s tough to beat Free! Don’t let anyone fool you: free STD test centers use the same lab processes and provide the same level of accuracy as online STD tests, hospital labs and for-profit test clinics. Free test results are just as good as a $500 hospital lab workup. And did I mention they’re FREE? Of course, FREE often comes with strings attached. you must attend counseling: can be awkward and time-consuming. 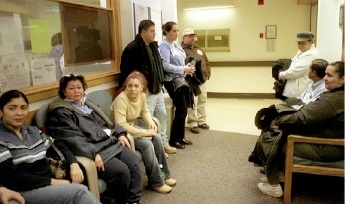 For many people, the deal killer is that Free clinic testing is not anonymous. Your name and test results may even be reported to the authorities, depending on the state and city. Drawbacks aside, Free STD test clinics are a valuable and critical public health option that saves thousands of people money and provides very accurate results.